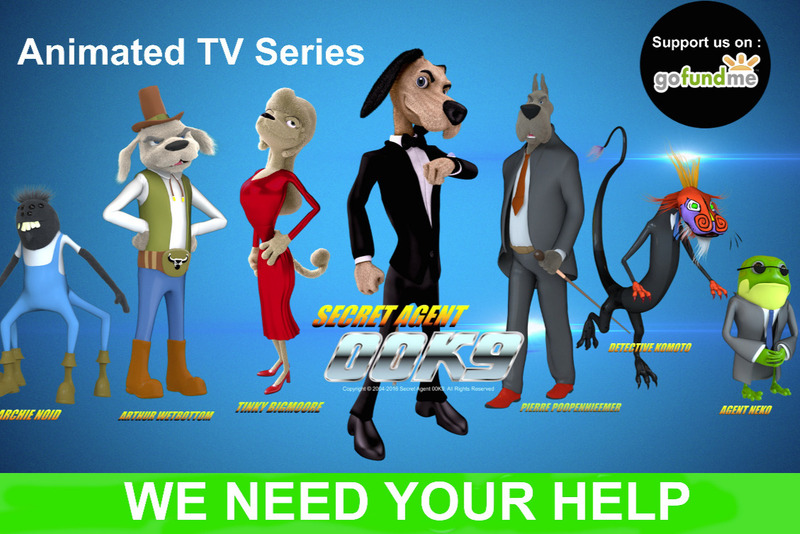 We need your help to create an animated TV series that will benefit animation students and K-9 service dogs! 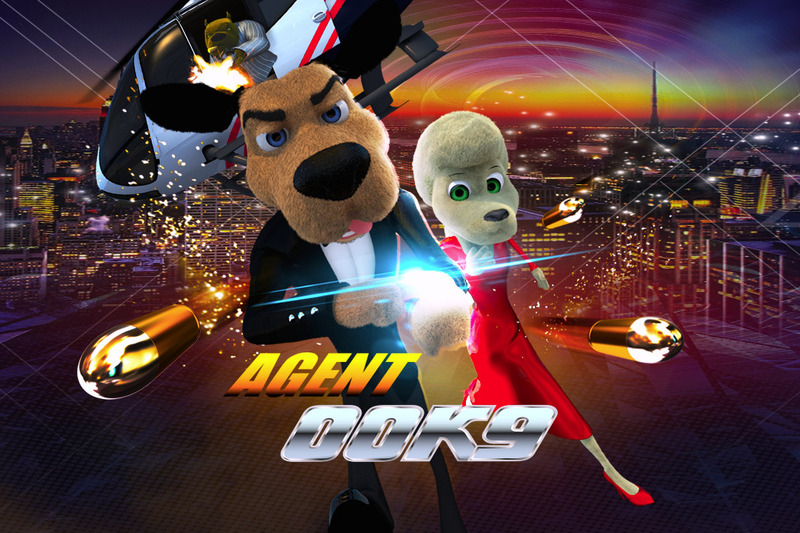 AGENT 00K9 is a new animated TV series parody centered on a spy dog detective who goes on missions solving crimes and mysteries in a wild animal-human fantasy world. 00K9 (Pronounced Double Oh K 9) The series is also a tribute to the real dog Cosmo who inspired the concept. "AGENT 00K9" that can be distributed on various international online and mobile platforms. co-authored by Jorjeana Marie who has been a comedy writer for SNL Saturday Night Live . 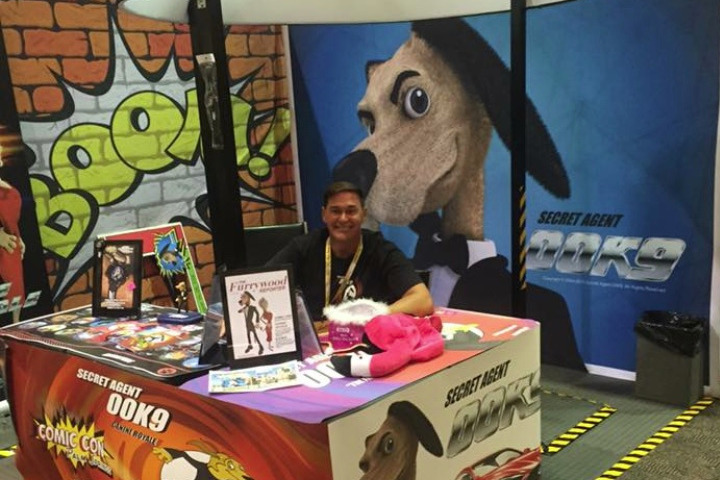 AGENT 00K9 has been featured in The Hollywood Reporter, Animation World Network and including being presented at national and international film markets such as AFM, Kidscreen, and Annecy France. 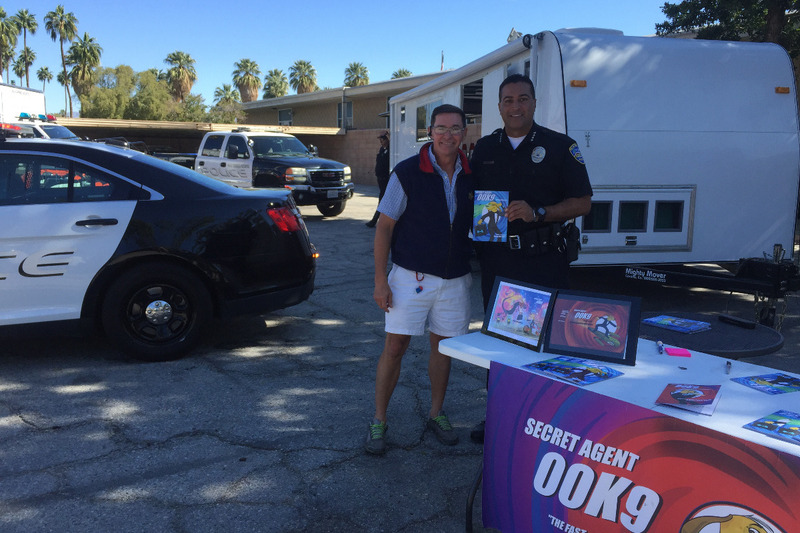 Brian has held book signings and benefits over the years for the Palm Springs Police K-9 Unit and the Palm Springs Animal Shelter. Cosmo used to join him a the many book signings and benefits but died in 2015. To honor his memory, he created a caricature of him who will also be a hero in the series. 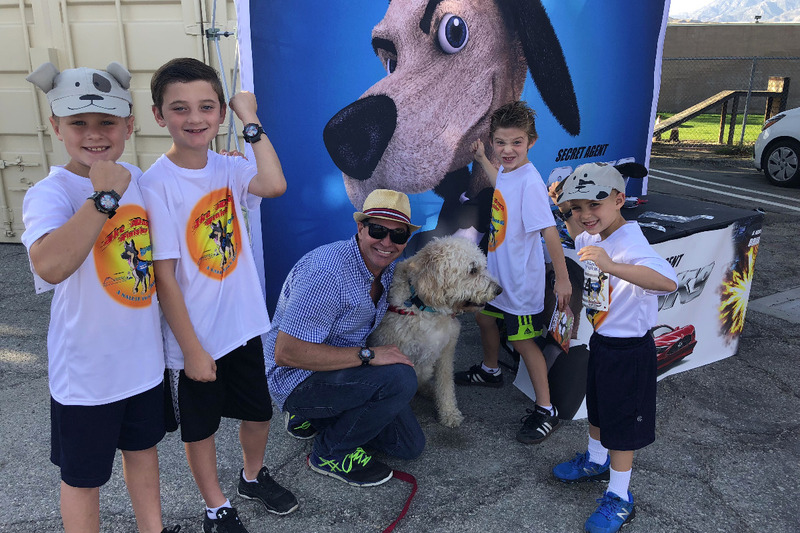 Brian's goal would be to produce the series by hiring animation students and giving them credit in the pilot episode as well as donating proceeds of the series sales to local and national Police K-9 Units. 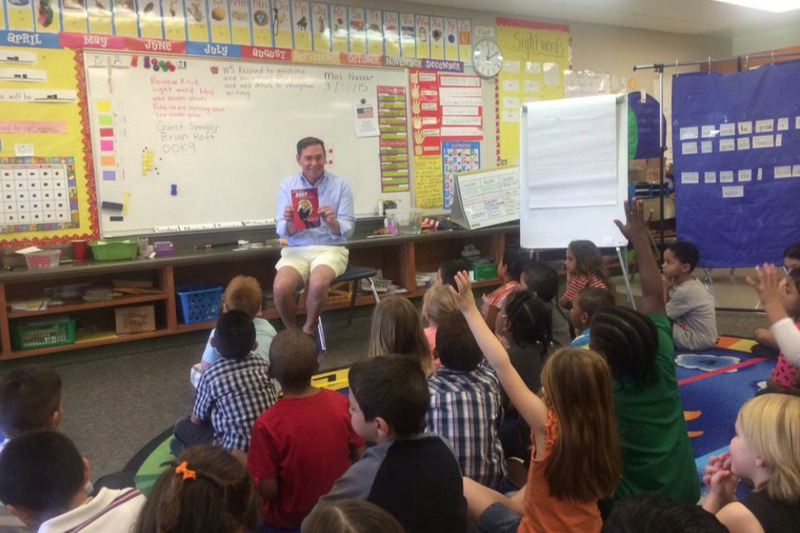 Brian hopes to inspire kids and families to laugh and learn valuable lessons. For the past 17 years Brian has had a dream of producing this fun animated TV series and would love your support! Follow canine spy "Agent 00K9" and be whisked away to a world of fun animal-human characters in 'who dun it' mysteries. Using state-of-the-art spy gadgets and his own cunning instincts for adventure, 00K9 plies skills of detection across the city of Furrywood, a wild and woolly metropolis filled with animals of all shapes, sizes and schemes! 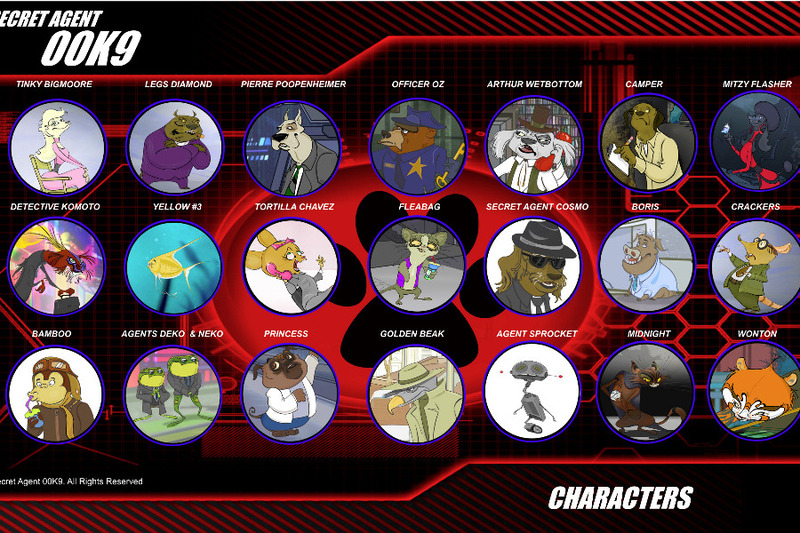 AGENT 00K9 Character sheet featuring more characters including creatures and robot operatives in the series. 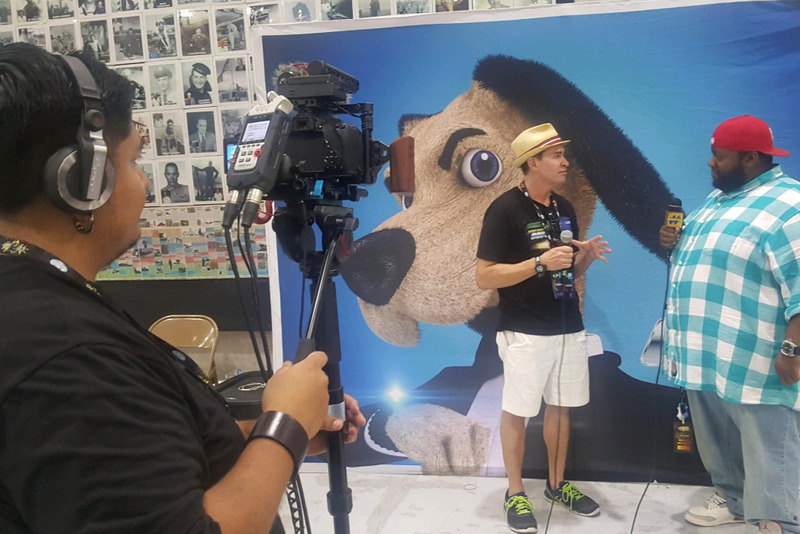 Brian at the Comic Con Palm Springs Booth 2016 promoting the series. 2018 "Run for Ike 5K" Benefit for Hero Service Dog "Ike" who took a bullet for his officer handler. Brian in his booth with some of his local fans and his new dog Dino! 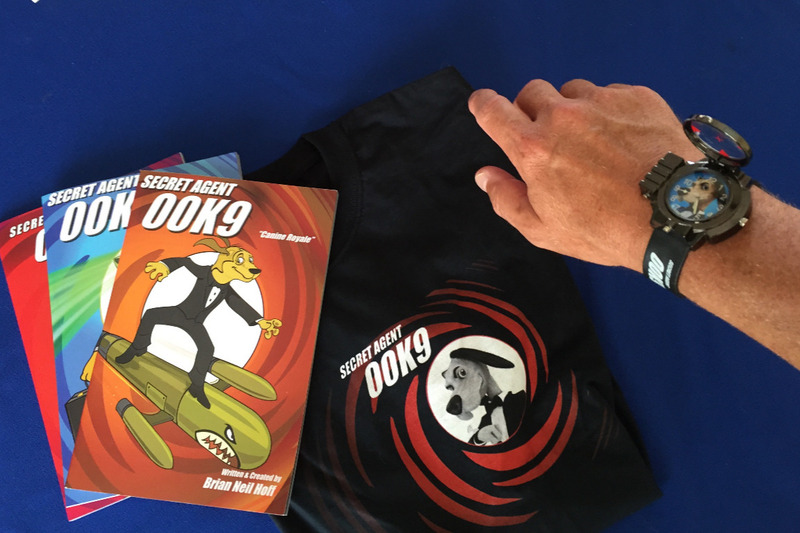 Books published on Amazon 2014-2018 and T-Shirt with Vintage James Bond Parody T-Shirt Design and AGENT 00K9 Kids Spy Watch with Pop-Up Scope and LED Laser Beam. 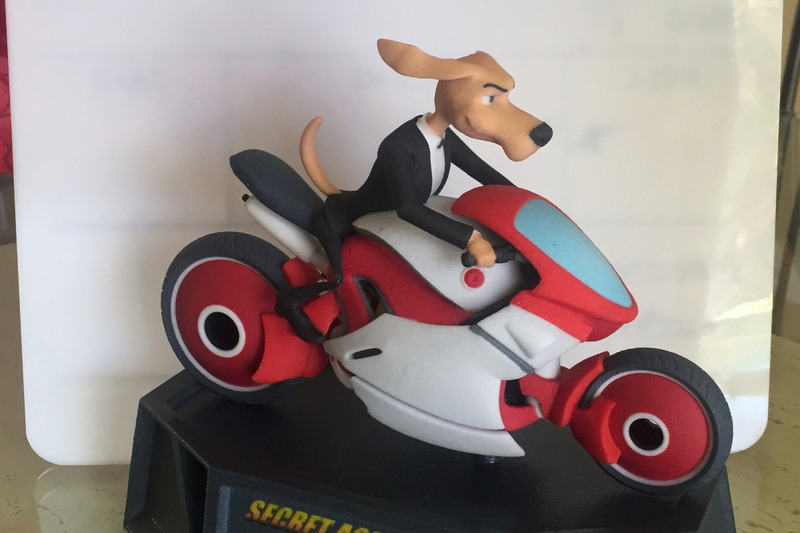 Full Color 3D Printed Model of AGENT 00K9 made out of sandstone with 3D Printed Matching Base. 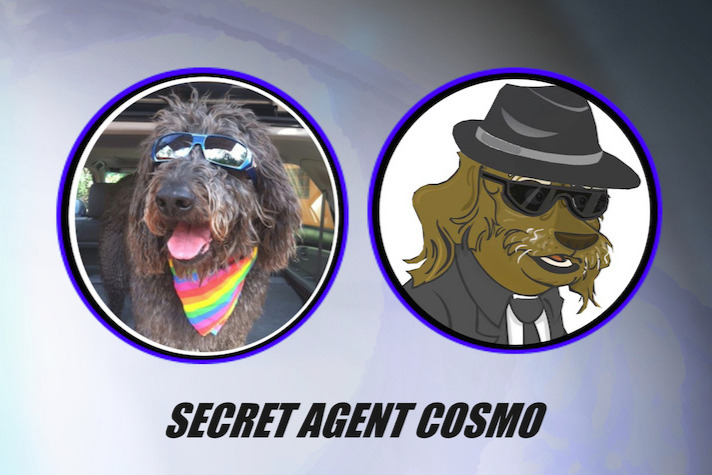 Cosmo was one of the coolest dogs in the world and inspired the idea for "AGENT 00K9" and to honor his memory Brian created a caricature of his dog who will be a hero in the series. careers in the field of animation. and celebrating local and national service dogs. in the closing credits under special thanks. Police K-9 Units. Your name in the closing credits on each episode in the special thanks. with additional notices from our studio with updates on the progress of the series. invites to premier events for the pilot episode.